Found one file extension association related to WebDrive and 1 file format developed specifically for use with WebDrive. Put the cloud on your desktop; access Amazon S3, Dropbox, Google Drive, OneDrive and more. WebDrive lets you edit files on corporate SFTP and SharePoint Servers as easily as editing any file on your computer. Just open, edit, and save. It’s really that simple. 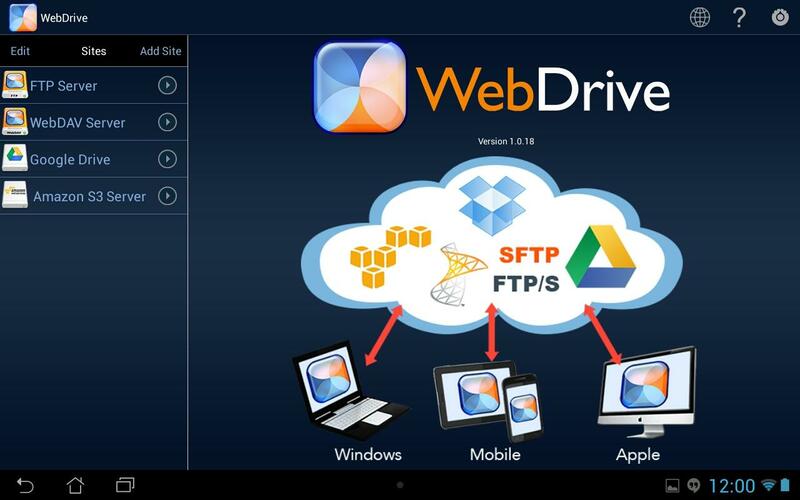 If you need more information please contact the developers of WebDrive (South River Technologies), or check out their product website.